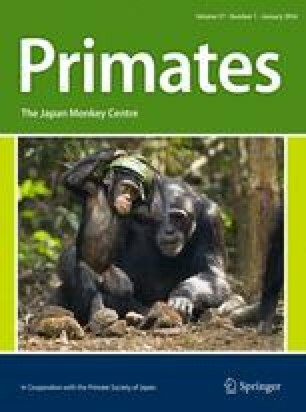 Sexual coercion and courtship are possible explanations for why male primates may direct agonistic behavior towards females. If so, then in species where females exhibit mate choice by transferring between males: (a) females who are not lactating (potential migrants) should receive more agonistic behavior than other females, (b) males should exhibit more agonistic behavior towards females during intergroup encounters than when no rival males are nearby, and (c) males should show more herding behavior when their group contains potential migrant females. We tested those hypotheses in a population of approximately 150 western gorillas at Mbeli Bai, northern Congo. We also tested whether difference in male phenotypic traits influenced their rates of agonistic behavior towards females. Of the 332 observed cases of male agonistic behavior towards females, 29 % represented feeding competition, 7 % involved interventions in conflicts between females, and the remaining 64 % were considered potential evidence of sexual coercion and/or courtship. After excluding the cases of feeding competition and intervention, a multivariate analysis indicated that potential migrant females received agonistic behavior at a statistically significantly higher rate than other adult females. Females also received agonistic behavior at a significantly higher rate during intergroup encounters than at other times. Herding occurred during 22 % of the 292 dyadic interunit encounters, and was significantly more likely to occur when the group contained a potential migrant female, but was not influenced by the number of adult females or the type of group encountered. Males with shorter body lengths had significantly higher rates of aggression, but phenotypic traits were not significantly correlated with herding. Collectively, our results are consistent with sexual coercion and/or courtship as an explanation for male-to-female agonistic behavior, but we are unable to distinguish between those two male mating strategies. Both types of behavior are likely due to a combination of perceived risks of female transfer and opportunity to advertise protector ability. We thank the Ministry of Forest Economy and Environment and the Ministry for Scientific Research in the Republic of Congo for permission to work in Nouabalé-Ndoki National Park. We are particularly grateful to the Wildlife Conservation Society’s Congo Program for crucial logistical and administrative support. Our sincere thanks go to the following people: Djoni Bourges, Bryan Curran, Paul Elkan, Mark Gately, Fiona Maisels, Pierre Ngouembe, and Emma J. Stokes. Mireille Breuer-Ndoundou Hockemba, Ella Emeline Bamona, Vicki Fishlock, Angela Nowell, and Lyndsay Gale helped with data collection. Financial support to the Mbeli Bai Study during the study period was provided by The Brevard Zoo, The Columbus Zoo and Aquarium, Cincinnati Zoo and Botanical Garden, Disney Worldwide Conservation Fund, Sea World and Busch Gardens Conservation Fund, Toronto Zoo, Wildlife Conservation Society, and Woodland Park Zoo. The current study was also supported by the German Academic Exchange Service (DAAD), the Leakey Foundation, and the Max Planck Society. This research project was reviewed and approved by the Ministry of Scientific Research and the Nouabalé-Ndoki Project of the Wildlife Conservation Society and the ministry in charge of forests and water.